Songs provided motivation and guidance to protesters during their uprising against Omar al-Bashir. 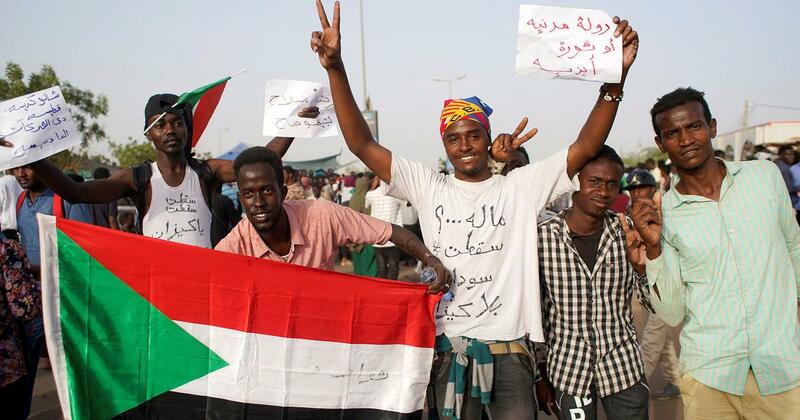 The uprising in Sudan has been vocal – and musical. “Tasqut bas!” – just fall, that’s all – was a commonly-used slogan by Sudanese as they revolted against military dictator Omar al-Bashir’s 30-year rule. 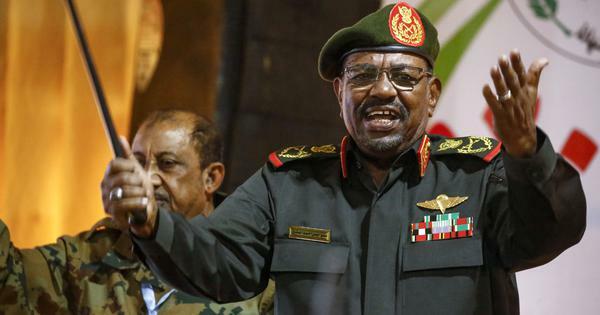 The uprising, which began in December 2018, intensified over the following weeks, forcing Al-Bashir to step down on April 11. One of the earliest examples of how powerful lyrics drove political change was a poem entitled Umm Dhafayir – The Lady with Pleated Hair – by Obeid Abdul Nur, an educator and a poet. ‘October Al Akhdar by Mohammed Wardi. October Al Akhdar (Green October) was famously performed by the revered singer Mohammed Wardi during the 1964 revolution that overthrew a military government and ushered in a civilian one. The song’s lyrics applaud the power of the people to bring about political change. The use of the word “green” in the title was a direct reference to agriculture and its importance to Sudan’s economy. Wardi’s lyrics played a powerful role this time too. His song Ya Sha’aban Lahabak Thouritak – which loosely translates to “Oh People Your Flame is Your Revolution” – referred to the immense pride and confidence Sudanese people have in their abilities. In the song Wardi yearns for Sudan’s population to stand up and to speak up for itself and to control its own destiny. The words empowered Sudanese to realise their ability to work for the good of the country with resolve and purpose. Mohamed A. Satti, Assistant Professor of Communication and Media, American University of Kuwait.